DENVER, COLORADO, UNITED STATES, September 14, 2016 /EINPresswire.com/ -- "Miracles We Have Seen - America's Leading Physicians Share Stories They Can't Forget." 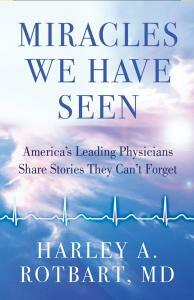 Edited by Harley A. Rotbart, M.D. and published by HCI Books, the famed publisher of the original Chicken Soup for the Soul series, the book is a collection of 85 extraordinary essays written by renowned specialists in virtually every field of medicine. The essays recount, in moving everyday language, clinical events which stunned the physicians and everyone else involved – impossible cures, breathtaking resuscitations, extraordinary awakenings, spectacular serendipities, and recovery from unimaginable disasters. Still other physicians wrote of experiences in which the miracle was more emotional than physical, yet also left a lasting imprint. Doctors sharing in gut-wrenching decisions made by patients and families, and then in the resulting joy—or heartbreak. Discovering a silver lining of forgiveness or resilience, a child’s wisdom or a family’s generosity of spirit, which evoked salvation and triumph in the face of sadness and tragedy. "...a collection of essays from top medical professionals in various disciplines that showcase patient outcomes that have defied all expectations and, in many cases, scientific explanations. The essays are written with a blend of technical detail, which fully explains the miraculous events, and a conversational appeal to the unknown, which will engage readers who feel there is more to life than the empirically verifiable...Incredibly broad, both in the specialties represented and in the types of miraculous events described, this collection captures the hope that captivated those who experienced the events firsthand...the experiences and perspectives this book contains is sure to provide inspiration. On September 13, Day 1 of the book's release, "Miracles We Have Seen" climbed to the top of both Amazon and Barnes and Noble Bestseller lists. The book is available in all stores where fine books are sold, including all Barnes and Nobles stores, and online at Amazon.com2, BN.com3, and all other book vendors. DR. HARLEY ROTBART has been a nationally renowned pediatric specialist, parenting expert, speaker, and educator for over three decades. He is Professor and Vice Chair Emeritus of Pediatrics at the University of Colorado School of Medicine and Children’s Hospital Colorado. He is the author of more than 175 medical and scientific publications, and four previous books for general audiences: 940 Saturdays; No Regrets Parenting; Germ Proof Your Kids; and The On Deck Circle of Life, which was endorsed by baseball Hall of Famer Cal Ripken Jr. Dr. Rotbart has been named to Best Doctors in America every year since 1996, as well as receiving numerous other national and local awards for re- search, teaching, and clinical work. He serves on the Advisory Boards of Parents Magazine and Parents.com and makes numerous media appearances every year, including two recent satellite media tours with American Idol finalists to promote influenza prevention. Dr. Rotbart is a regular contributor to Parents Magazine and the New York Times, is a consultant to national and local media outlets, and writes his own blog at www.harleyrotbart.com1. “Coach Harley” coached youth baseball and basketball for sixteen years, including eight years at the high school level. Dr. Rotbart and his wife, Sara, live in Denver, Colorado, and are the parents of three grown kids, each a miracle in his or her own way. 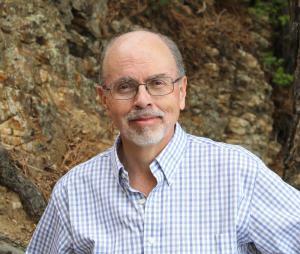 More information about Dr. Rotbart's "Miracles Project" at www.harleyrotbart.com1.